The 26 June 2017 hotfix release of CloudPassage® Halo® includes new information added to server profiles and a new filtering capability added to server search. 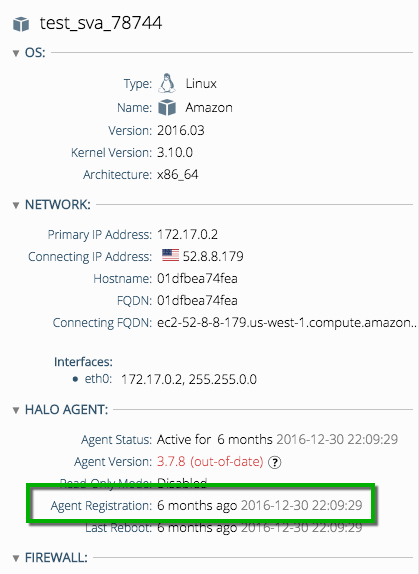 You can now view the date-time at which the agent on a server first registered with Halo. This timestamp is available in the “Halo Agent” section of the server-level profile. 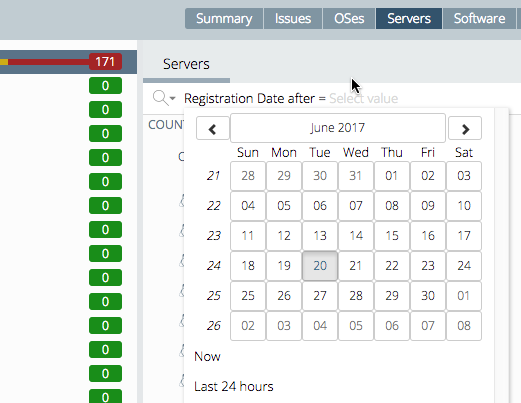 When searching for servers in the Servers view of the Halo portal Environment screen, you can now use the filters "Registration Date before" and "Registration Date after" to restrict the results to servers whose agents registered with Halo before or after, respectively, the date that you specify when selecting the filter. Note: Filtering involving past dates functions slightly differently in the Halo portal than it does in Halo API calls. Portal searches take the current date-time on the local system clock into account when calculating day boundaries, whereas API searches do not. Because of this, using the same exact filter in the portal and in the API can yield somewhat different results.